Beginning in 1978, Debra founded the Harmony Festival in Santa Rosa, California, which has evolved into a nationally recognized, three-day outdoor festival of music, art, ecology, health and spirituality, attended by more than thirty-five-thousand people every June. Debra also launched and developed for 15 years, Wishing Well Distributing Co., which distributed more than over three thousand health and new age products nationwide, as well as the largest educational video catalog nationally offerings1000 tiles of in the wide variety of topics that include health, personal growth, exercise, spirit. In 1978 she also founded and managed for 10 years The Well Being Community Center and Newspaper in Sonoma County, CA, which served to produce and promote classes, workshops and events in the Northern CA area. She also founded and grew for 30 years the Spirit of Christmas Crafts Faire and Celebration, hosting 250 crafts exhibitor and entertainment in a creative family environment. One of her current missions is to assist in educating and providing resources for a graceful and powerful transition into this new global paradigm through Wishing Well Multimedia. She has published “Transforming Through 2012 Multimedia Book, with 33 authors, around the topic of the 2012 Shift. Resourcing the top experts in a wide variety of categories, from scientists to shamans, she provides a easy-to-read format that give the cutting edge information, along with tools and resources. She is now realizing a series of aurdio that present the current info on the new global paradigm, with leading edge speakers. Her personal passion is Transformational Dance. She began teaching Creative Dance to children at 16 years old and she received a BA in Dance Therapy in 1976. Today she still studies, teaches and performs regularly in many styles from Ballet/Jazz/ Modern to Middle Eastern/Bollywood/Salsa to Yoga/Pilates/Somatic Movement. She combines all movement styles and uses free-style improvisational dance forms as a spiritual tool. To learn more about Transforming through 2012 series, visit www.TransformingThrough2012.com. To learn more about the Harmony Festival, visit www.HarmonyFestival.com. 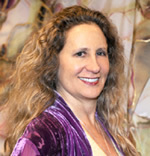 To learn more about Debra, visit www.DebraGiusti.com.